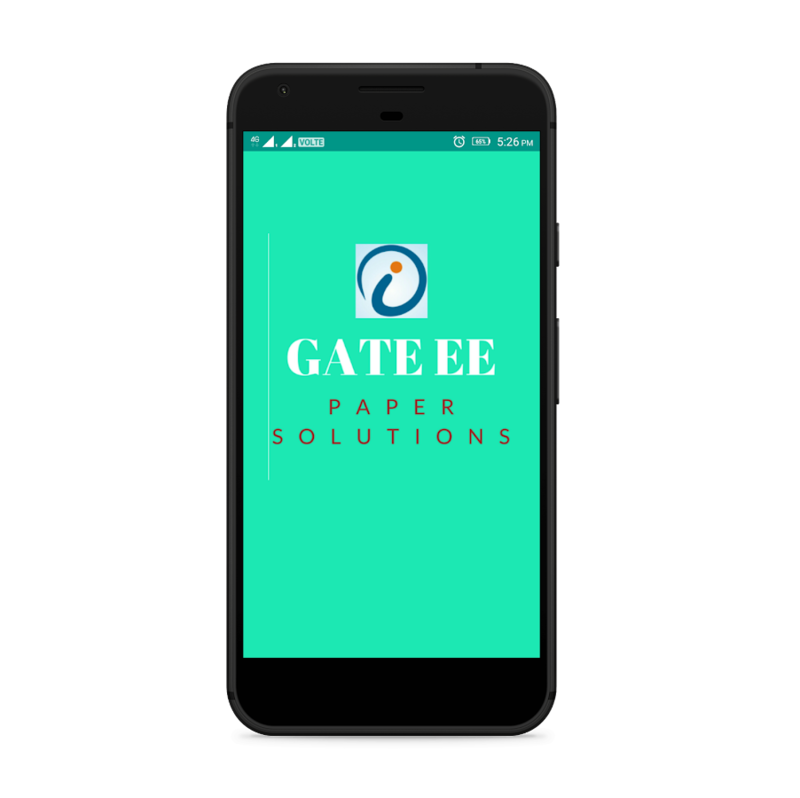 This is an android application that gives different GATE ElectricalEngineering Paper Solutions of each year. This is solution isprovided by different GATE Institutes of India. This is an android application that gives different GATE CivilEngineering Paper Solutions of each year. This is solution isprovided by different GATE Institutes of India. This is an android application that gives different GATE MechanicalEngineering Paper Solutions of each year. This is solution isprovided by different GATE Institutes of India. This is an android application that gives different GATE ComputerEngineering Paper Solutions of each year. This is solution isprovided by different GATE Institutes of India. Conventional Calculators are no more allowed in GATE Exam. You willbe provided with a Virtual Calculator during Online Examination.This App will provide you with perfect copy of that calculator tosolve question during your GATE Preparation. Tutorials: - BasicAlgorithm Function - Trigonometric Function - Logarithmic Function- Memory Function - Tips and Instruction Disclaimer:This app isdeveloped to help students in their preparation. It is not anofficial GATE calculator. Great care has been taken toward thefunctioning of this calculator so that students can have the sameand perfect Experience. Students are advised to compare it withofficial calculator. GATE-Exam is an app that help you crack Graduate Aptitude Test inEngineering (GATE) in a simplified way. The app includes subjectlike Civil Engineering (CE), Computer Science and InformationTechnology (CS), Electronics and Communication Engineering (EC),Electrical Engineering (EE), Mechanical Engineering (ME). The apphas all the material you need for GATE Exam preparation. i.e. PreGATE Exam Preparation, Post GATE Exam important links &information. Key Features includes: - Syllabus - It includes GATEexam subject & syllabus - GATE Exam Previous Papers - Appincludes Exam Paper since GATE - 2007 with answer key - TopicwiseQuestions Weightage - Includes Topicwise weightage. Topicwise MCQwith answer key is provided for MOCK GATE preparation - ReferenceBooks - It contains subjectwise list of reference book needed forGATE Exam - Weightage - Yearwise weightage of subject topics isprovided - Mock Test - Start using practice / mock test given inthe app - M. Tech Admission Predictor - Enter Branch,probable/actual GATE Score and find list of NITs where you canapply for admission. Here the list shows - NIT Institute -Specialization Subject - Last year cutoff rank / marks - PSURecruitment through GATE Score - Some of the Public Sector Unitslike BHEL, BP, HP, IOC, NHAI, NLC, NPCIL, NTPC, PGCIL, THDC, VIZAG,etc., directly recruits on the basis of GATE Score. You can finddetailed information here in the app. - IIT / NIT - List of IITsand NITs with postal address Major Features of the app includes:GATE 2018 - - Online Mock Exam - Start using practice / mock testgiven in app. App includes following subject for the Mock GATE Exampreparation: Civil Engineering (CE), Computer Science andInformation Technology (CS), Electronics and CommunicationEngineering (EC), Electrical Engineering (EE), MechanicalEngineering (ME) - Key Dates - You can find important announcementsand key dates like application filling dates, applicationsubmission date, etc. - Eligibility Criteria - The candidate mustensure that he/she meets the eligibility criteria of GATE 2018. -Application Fees - The applicaiton fees and various payment optionsare shown here. The application fees is non-refudable. All chargesare in Indian Rupees. - Exam Cities - The app shows Zone-wise listof cities in which GATE 2018 will be held. - Qualifying Disciplinefor GATE 2018 is shown in the app. - Question Paper Pattern -General Aptitude will carry 15% of the total score, EngineeringMathematics will carry 15% of the total score and remaining 85% ofthe total marks is devoted to the subject of the paper. - MarkingScheme - GATE paper is divided into three sections i.e., GeneralAptitude (GA), Engineering Mathematics and Subject-relatedquestions. App shows detailed information of each section. -Calculate GATE Score - Calculate GATE Score by using the formulagiven here in the app. Calculation of Normalized Marks of CE, CS,EC, EE and ME papers (multi-session papers) is also given. In all the papers of GATE examinations, there are total of 65questions carrying 100 marks, out of which 10 questions carrying atotal of 15 marks are in General Aptitude (GA). In the papersbearing the codes AE, AG, BT, CE, CH, CS, EC, EE, IN, ME, MN, MT,PI, TF and XE, the Engineering Mathematics carries around 15% ofthe total marks. The remaining 70% of the total marks is devoted tothe subject of the paper. These 30 marks (marks of General Aptitudeand Engineering Mathematics subjects) makes huge difference ingetting the good rank in the examination, So EngineeringMathematics and General Aptitude subjects are very important. Ithas been observed from previous years question papers that similarkind of questions gets repeated. So studying earlier year questionscan make a significant difference in ones preparation efforts. Allbranches have same syllabus for subject General Aptitude. TheEngineering Mathematics syllabus is almost same but not exactlysame. In this application we have made effort to bring you theearlier year questions of subjects Engineering Mathematics andGeneral Aptitude, so that studetns from all branches can getexposure to ealier quesion on GA and EM of all branches. This ispoosible due to similarity in syllabus. This application hascollection of earlier year questions (total 880 questions) frombranches Mechanical Engineering (ME), Civil Engineering (CE),Electronics and Telecommunication Engineering (EC), ElectricalEngineering (EE) and Computer Science and Information Technology(CS). The keys to all the questions are provided. One need to clickon 'Review' button after finishing the test to get the keys toquestions. The detailed solutions are provided for the branch ofmechanical engineering. For other branches the detailed solutions.You can save you performance in the form of certificate. The appalso keeps the record of your performance as you keep giving thetests. Click on 'History' to get the past data on Mock Tests. Thesyllabus for all branches is provided. This application is notcomplete, we will keep updating the app with more usefulinformation. We have taken lot of care while making thisapplication, but if you find any mistake please send us yourfeedback. TRANS EASY has come in the existence in year Dec 2014, andhascreated a number of results in the GATE so far. This institutionisfor Agriculture engineering , Mechanical EngineeringandEngineering science (XE) and also the best institution for GATEinAllahabad. Now we are launching online test series for GATE.Thetest series provides platform for students to judgetheirperformance on all india basis. We will include the bestsolutionanalysis which will be very helpful for student to build uptheirconcepts. The test papers are designed considering previousyearpaper as well as the standard of questions being asked intheexamination. The test series will provide theexaminationexperience to the students which will be very helpful toscorebetter.